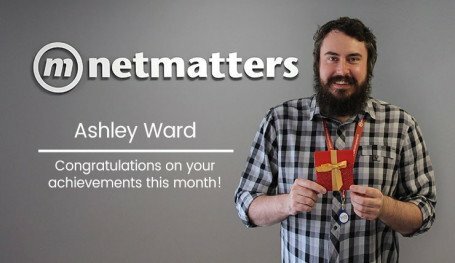 Throughout his time at Netmatters, Lewis has shown dedication and expertise in his role as Senior Web Developer as well as communication and leadership skills. 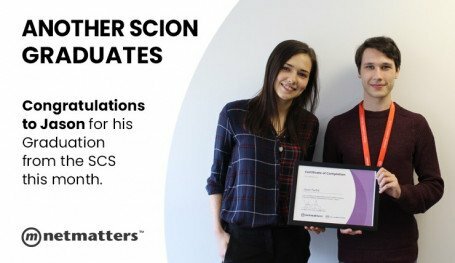 One of the longest serving current members of Netmatters, Lewis has always been willing to impart his knowledge and experience to his peers. Lewis has received glowing feedback from clients, exceeding expectations by delivering outstanding development work. It is safe to say that customers have the utmost confidence in his skills and workmanship. Drawing upon his experience to empower and guide fellow staff members, Lewis is a fantastic example of why teamwork is one of our core values at Netmatters. At Netmatters notable life events are an opportunity show our appreciation to our team. We strongly believe that hard work and continued enthusiasm deserves to be recognised. We would like to offer our thanks to Lewis and wish him a belated 30th birthday! Interested in an exciting career in web development? Why not take a look at our current career opportunities including our fully funded web developer training program. We are currently on the lookout for bright new talent at Netmatters. If you think you've got what it takes to be part of this dynamic and progressive environment, contact us today and speak to our friendly expert team.